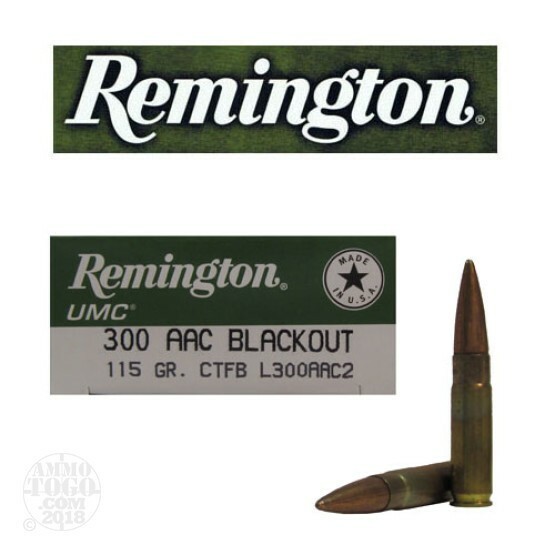 This is .300 AAC BLACKOUT Remington UMC 115gr. Closed Tip Flat Base Ammo. For varmint hunting, target shooting, training exercises or any other high-volume shooting situation UMC centerfire rifle ammunition offers value without any compromise in quality or performance. This new production ammo is brass cased, boxer primed, and non corrosive. This ammo comes packed in 20rd. boxes.